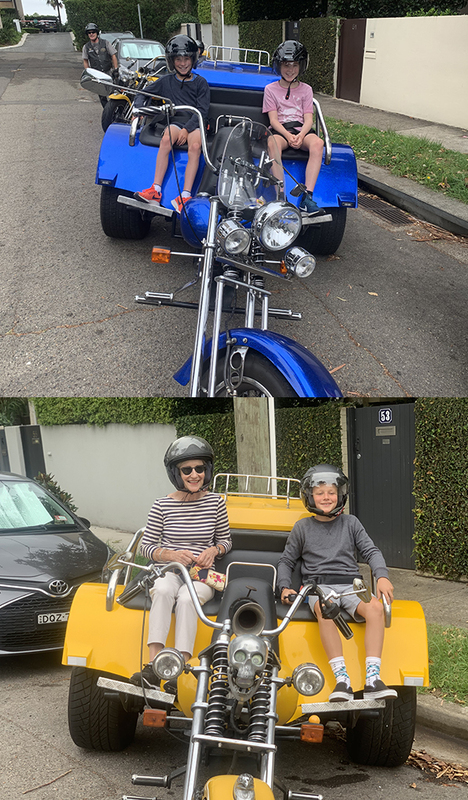 A school holiday trike experience was a great experience for the kids. Vicki organised it as a surprise and it certainly was a great one. The kids were smiling the whole time. 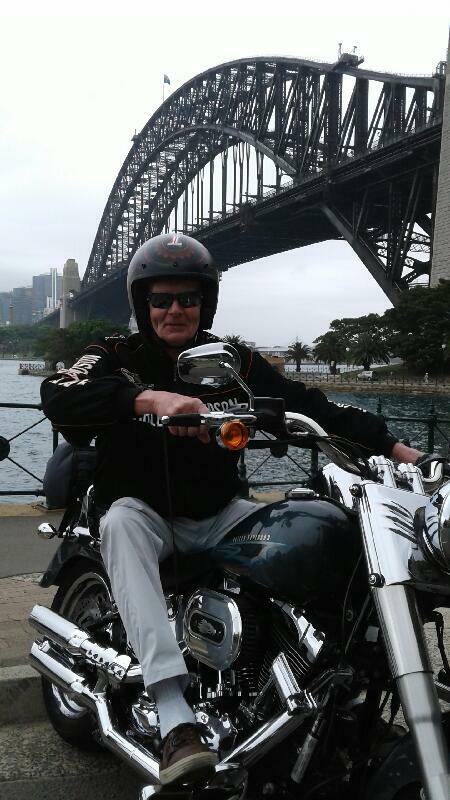 Craig and Steve picked them up from Vicki’s house and rode them over the Sydney Harbour Bridge. We never get tired of this amazing structure and it is great to see without a roof obstructing the view. They rode around the Royal Botanical Gardens, past Mrs Macquarie’s Chair before heading back home. 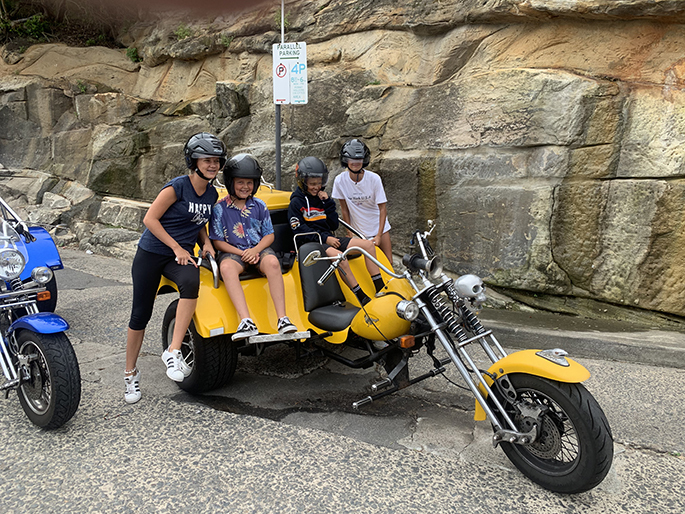 This is a school holiday trike experience that the kids will never forget and will tell all their friends when they go back to school! The Sydney Harbour Bridge is a heritage-listed steel through arch bridge across Sydney Harbour that carries rail, vehicular, bicycle, and pedestrian traffic between the Sydney central business district (CBD) and the North Shore. The dramatic view of the bridge, the harbour, and the nearby Sydney Opera House is an iconic image of Sydney and Australia itself. The bridge is nicknamed “The Coathanger” because of its arch-based design. Under the direction of Dr John Bradfield of the NSW Department of Public Works, the bridge was designed and built by British firm Dorman Long and Co Ltd of Middlesbrough and opened in 1932. The bridge’s design was influenced by the Hell Gate Bridge in New York City. It is the sixth longest spanning-arch bridge in the world and the tallest steel arch bridge, measuring 134 m (440 ft) from top to water level. It was also the world’s widest long-span bridge, at 48.8 m (160 ft) wide, until construction of the new Port Mann Bridge in Vancouver was completed in 2012. The Sydney Harbour Bridge was added to the Australian National Heritage List on 19 March 2007 and to the New South Wales State Heritage Register on 25 June 1999.